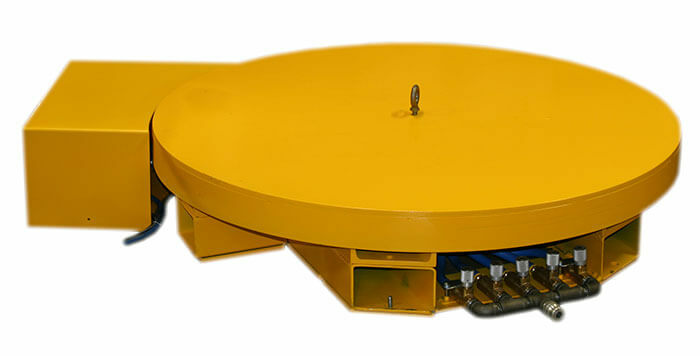 Hovair Systems are a leading manufacturer of Industrial Turntables to the material handling industry. In addition to our well known residential range of car and automobile turntables, we also offer custom-built turntables for industrial use within factories, automotive plants, and other similar locations. Optional variable control speeds – up to 25 rpm. Specialty turntable with electro mechanical power, suited to factory style use – drums, baskets etc.